An excellent bottling from one of our very favourite distilleries, Glenfarclas. Forming part of their Limited Rare series, this whisky was distilled in 1990, and bottled in 2018, having been aged strictly in Oloroso Sherry hogsheads (a few of which appear on the label). 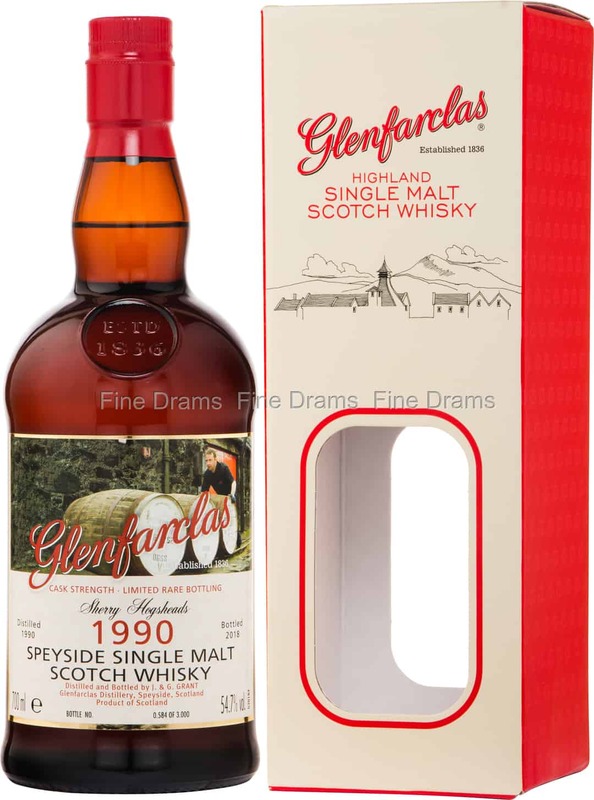 A classic Glenfarclas, this bottling delivers plenty of that old fashioned Christmas cake character. Drinkers can expect deep, leathery sherry flavours, with notes of dried fruits, cinnamon, cloves and nutmeg, dark chocolate, espresso, toasted nuts, dark oak, burnt sugar, and fresh red berries. Bottled at 54.7% ABV, and without chill filtration or colouration, this is a superb Glenfarclas whisky. Just 3,000 bottles were produced.